As we await the launch of the Nvidia GeForce RTX graphics cards on 20th September (next Thursday) Nvidia is keeping us up to date with the games industry adoption of its associated technologies. While raytracing might be the headlining aspect of the new RTX series, and the new naming scheme tips a hat to this tech, Deep Learning Super Sampling (DLSS) looked like a more usable tech in many ways. In particular, DLSS brought clear image quality improvements plus performance improvements to modern games when used in place of established anti aliasing technology like TAA. Compare that to all the performance indications we have seen from 'RTX On' gaming, which seems to require that those playing on 2K and 4K screens will have to dial back to 1080p. In a blog post a few hours ago Nvidia recapped on its GeForce RTX offerings. "They run up to twice as fast as previous-generation GPUs, add lifelike ray-traced graphics to supported titles, and boast numerous features that enhance games and improve your experience," crowed the green team. And it had news for us that developers have expanded the range of titles that will launch with DLSS, powered by the GPU's Tensor cores. With an extra nine titles declared, the total number of upcoming DLSS games in now claimed to be 25. Check out the new entrants list above, which have now had their logos merged into the full DLSS support graphic below. 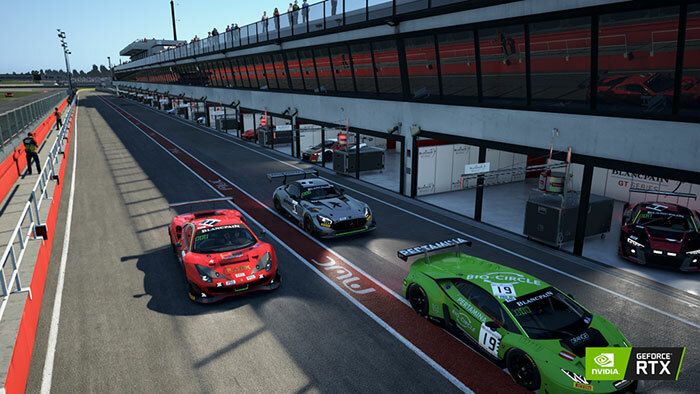 At the time of writing the support list for RTX On (real time raytracing) titles includes just 11 games which are; Assetto Corsa Competizione, Atomic Heart, Battlefield V, Control, Enlisted, Justice, JX3, MechWarrior 5: Mercenaries, Metro Exodus, ProjectDH, and Shadow of the Tomb Raider. Games can leverage both RTX On and DLSS if the developers wish, and some do. Nvidia CEO Jensen Huang has been presenting at GTC Japan this week, mostly about AI, ML and Tesla T4 GPUs but shared some GeForce RTX 4K gaming performance slides too (see image above). These are rather vague charts but worth a peek while we await real-world reviews from third parties. I've embedded the lengthy keynote video below and you can begin at the GeForce RTX section by skipping forward to 23mins 42sec.